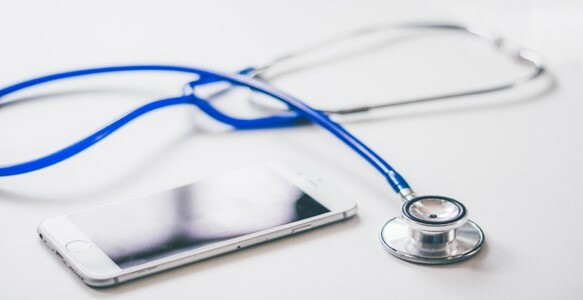 With technology being more prominent within society and changing the way we approach healthcare, there’s plenty of technology that can help with looking after our health. Here are a few examples of how we’re using it. Although blood pressure devices used at home are frowned upon by professionals for providing inaccurate results, there has been an improvement in the technology. There are devices nowadays that are a lot more accurate in measuring blood pressure. These include LotFancy, which has been recommended by those who’ve used the device and said it provided the same or similar results to that of their doctors. There’s also good blood and glucose testing methods for those with diabetes or those needing to regulate their sugar levels. These too, have also gotten more advanced, and a lot of patients can now do it in the comfort of their own home. With fitness trackers being on the market now for some time, they’ve certainly advanced in terms of their technology over the years. No longer do we have simple pedometers but devices like the Fitbit which measure more than just the amount of steps we’re making per day. It keeps track of your heart rate, counting the calories you burn and all of this helps encourage you to get up and on the move. We all look for ways of making our life simpler, and if it’s available, then we’re definitely going to take it. Alexa is just one example of how technology is helping our lives and making them easier. Since Amazon launched Alexa, the developers have been constantly improving it. There’s a lot of platforms, like WebMD for example that works with Alexa, so you are able to ask questions regarding your health. With Alexa also linking up to your phone, you can make calls and send text messages which is handy if have mobility issues. It can also help you in an emergency when you may not be able to reach your phone or you are alone at home. With healthcare IT consulting, the way in which the health industry gathers data and communicates is improving. We now have the opportunity to get diagnosed from the comfort of our own home as video calling with a doctor has now been made possible. This will certainly help those who often put off appointments perhaps because they are too busy or are unable to walk into their local GP. With a need for cheaper medical care, this offers a more affordable solution. Not only that but the long waits at the doctors or the struggle to get an appointment may likely reduce because of the ability to do it from home. Technology is only going to improve as more time and money is put into researching new ways to help improve healthcare. Our interest in technology isn’t something that’s going to go away anytime soon. Who knows what may happen within the next decade?